A Walk Through Me was written to share my story so I wanted to follow up with explaining each song. So here you go in this blog post I will be explaining Fairytale Life. Now……. Close your eyes and imagine green hills, farm land for miles and a quaint little white farm house under the bright blue sky. There lived a vivacious little girl. She was a beautiful, blonde haired girl full of spontaneity, curiosity and wonder. Most days you could find her laying in the grass looking up to the clouds pointing out the shapes she could see. She lived in a fairytale land full of green rolling hills and luscious trees full of apples, peaches, and berry bushes. The rows and rows of corn were neatly lined throughout the fields with tall stalks. 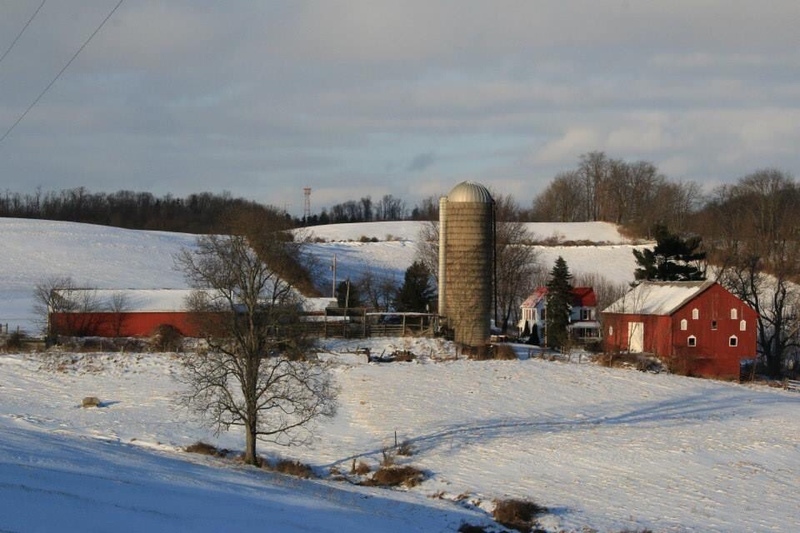 This land was in a small amish town in the center of Ohio bursted with life and calmness. Her days were filled with running through the woods playing hide and seek with her brothers. Or she would be taking long walks with her mom and grandma picking black berries. The scariest part of her days were the times her and her brothers would explore the barn and see eyes of cats glowing in dark corners. She loved life. She lived to be the center of things either at church or at home. When she woke up in the morning, till she went to sleep she was trying to entertain those around her. She was born a social butterfly and loved being around people. From the amish in their buggies, to her neighbors who would invite her over when they were canning; she soaked each experience in. People had a huge part in her life helping her see it from many sides as much as a little girl could. Her mom ended up putting her into an Amish kindergarten early to fill her need for friends and people. It didn’t matter that she couldn’t understand most of what she was learning and the new language she was hearing for this little girl the best part of school was being with other kids. This was me…..As a little girl I saw life from a different light. When I look back at my early childhood it seems fairytale perfect. I call these my innocent years. Living on a farm was slow paced and eventful. I got to experience the milking of cows and the chicken running with its head cut off. There is a beauty about farm life that can not be written about in words; to fully understand it it should be experienced. The peace and tranquility it brings is unfathomable. We got to see where are food came from and learn how it was grown. All the while waking up to the sound of birds chirping and cows mooing. Oddly enough till this day I love the smell of manure. It’s amazing how a smell can bring you back to either good memories or bad. Manure for me always produces good memories. My family came from a long line of children’s ministers, pastors, choir directors, and elders of the church. You could say I was destined to be a good, God fearing young women. From before I can remember I was in the church. You could find me singing through the microphone or in Sunday school soaking in the stories of the Bible. I fondly remember the cassette tapes we would make for my great grandmother with me preaching to her and closing with a song about Jesus. I believed from an early age that Jesus died for me. That He was my savior and that I was going to go to heaven if I did things right and listened to the ten commandments. As a family we lived like any normal good Christian family. My grandparents lived nearby and owned a large dairy farm. These were my moms parents and were wonderful God fearing people. Every Sunday after church we went to a friends house for a big scrumptious Sunday dinner. In the eighties people still invited other people over for dinner after church for fellowship and worship; this is uncommon today. We would spend most of our Sundays after church doing this or just taking the day off for rest and play time. Most other days where spent with my grandparents on their farm or walking the hills. My grandma had the most amazing operatic voice. She was once asked to study in New York but she chose to marry my grandpa instead. She never regretted that decision and loved that man with oh so much love. My grandpa worked hard and spent most of his time in the fields or with the cows. He was quite most of the time but so secretly silly. My other grandparents, from my dad’s side, visited often and were tucked into the hillside of beautiful West Virginia and good Christian people. My grandpa was coal miner with a rough past but who found the Lord in his thirties and later became a Nazarene pastor. My grandma said it like it is was but still exuded her nickname, Love. Now my grandma from my moms side also comes from the same little West Virginia town. This meaning my mom and dad were fourth cousins which we later put together thanks to genealogy websites. I loved my grandfather. Well I loved both sets of grandparents more then they ever knew, but my dad’s dad always made me feel loved and special. He understood me from the beginning. We would sit on his rickety porch swing singing Amazing Grace for hours when we were together. He was rarely unable to make me smile and he put the hill into hillbilly. Moonshine and all my roots are deep within the West Virginia mountains. Till this day I can drive through this town and run into distant cousins or aunts and uncles.